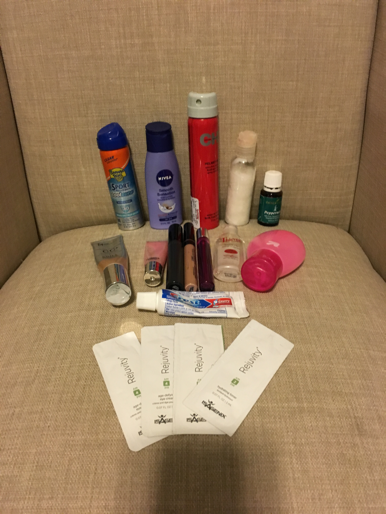 One of the most frequently asked questions I answer is what the liquid requirements are when traveling with a carry-on bag only. The airlines will allow one 1-quart baggie per person for all liquids. When you’re not checking a bag, you need to be extra careful with the liquids chosen. These are my go-to liquids for my carry-on bag. 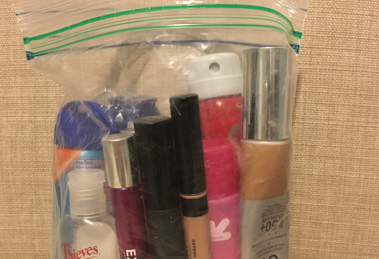 All of the liquids must fit inside the 1-quart baggie and be 3oz or less. Tip: bar soap is not considered a liquid – double bag this and put it inside one of your shoes to save on space!